Hotel Mohini Inn is a 2 star deluxe hotel in Nainital providing an affordable stay in this lake town. 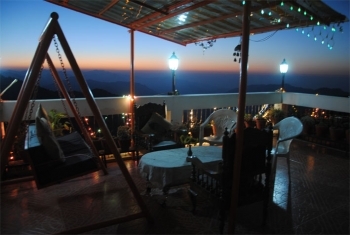 The hotel has a well settled property facing panorama of far away Kumaon Hills. Known for relaxing sunset, the hotel also provides invigorating sunrise views from the open spaces. The hotel is located at a distance of halk kilometer from the famous Mall Road in Nainital . Guest can easily visit major tourist spots of Nainital from the hotel. There is a well equipped conference hall for meeting and business use of the guests. Hotel Mohini Inn offers well appointed rooms having all modern amenities in the room. Each rooms is tastefully decorated and wooden flooring makes them warm in the winter months. The hotel has basic amenities such as LCD/LED TV, attach bath with hot/cold water. The hotel provides facility to arrange number of adventure activities for guests on request. Hotel Mohini Inn is located at 0.5 km from Tallital Bus Stand near the Govt Girls Inter College and one can reach the hotel after 10 minutes walk from Tallital Bus Stand. Nearest railway station to reach the hotel is at 29 kms in Kathgodam and the Pantnagar Airport & IGI Delhi Airport are at 69 kms and 309 kms respectively away from Mohini Inn Hotel.